A retrospective study of 211 patients with unilateral sciatica operated on for lumbar disc herniation during 1988 and 1989 was performed in order to compare the results of reoperated patients with the results of patients operated on only once. The patients completed a standardized questionnaire in 1997 which included questions about reoperations, back and leg pain, functional status and disability pension. Outcome scores were calculated, giving values from 0 (no pain/normal function) to 100 (totally disabled). A follow-up status of 80.1% was obtained; 163 patients answered the questionnaire while six patients had died. 23.9% of the patients (n=39) had been reoperated on. 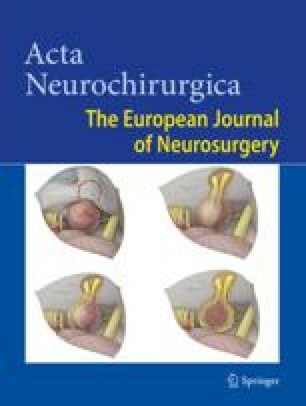 A recurrent disc herniation at the same level was suspected before the reoperation in 18.4%, but a recurrence was found in only 8.6%. 3.7% were reoperated on more than once. Outcome score was worse among “reoperated” patients (median 45.0, range 0–94) than among patients who only had the primary operation (median 10.5, range 0–81) (P<0.001). In addition, 34,3% of the “reoperated” patients received a disability pension compared to 9,9% of the patients not reoperated on (P<0.01). Patients reoperated upon at the same level without peroperative signs of recurrent disc herniation, had an outcome score of 53.0 (range 0–82) compared to a score of 30.0 (range 0–66) in patients with a confirmed recurrence (P<0.05). The percentage of disability pension was 53.8% versus 9.1%, respectively, for those two groups (P<0.05). Eight years after operation for lumbar disc herniation, the outcome was significantly worse in “reoperated” patients than in patients operated on once. In addition, reoperated patients with peroperatively confirmed recurrence of the same disc, seemed to have a better outcome than patients without peroperative signs of a recurrence. Keywords: Lumbar disc herniation; reoperation; peridural scar; recurrence.